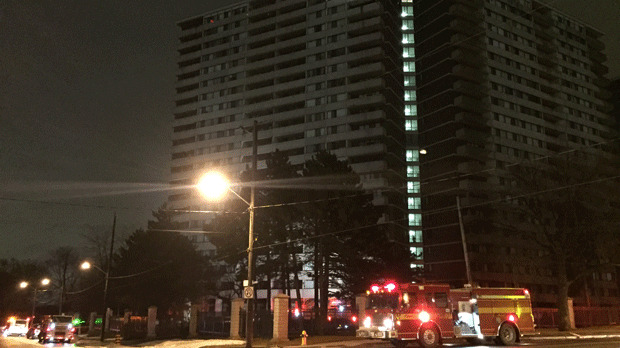 A high-rise building in Etobicoke was without power and water for at least several hours overnight after a hydro vault fire. Firefighters were first dispatched to the building on Islington Avenue south of Highway 401 at 1:20 a.m.
Toronto Fire says that crews did not locate any visible smoke upon arrival and were able to quickly knock down the fire. Officials said the cause of this blaze was a minor hydro vault failure and no damage was sustained.